Pangasinan for me is practically, unknown. I only hear about it on television at nightly news, like the Pangasinan Presidents basketball team in the now defunct basketball league, MBA. The closest I could get to this province was just traveling to Baguio and back. Fortunately, I added a few bits of my knowledge bank about Pangasinan after watching GMA’s Pinas Sarap. The show featured a 10 minute video about Pangasinan’s foods and salt industry. Here are the 5 facts I learned. 1. Pangasinan’s name was derived from the word “asin”. They are the largest producer of salt in the Philippines, but it was during the Spanish occupation when people called the place, “pang-asinan” or a place of salt-making. One salt farm called the Pacific Farm, can produce 30 million of kilos of salt annually. 2. The first sunflower maze in the Philippines is in Pangasinan. This sunflower farm is called Allied Botanical Corporation, can be found in Barangay Lichauco in Tayug, the eastern part of the province. 3. 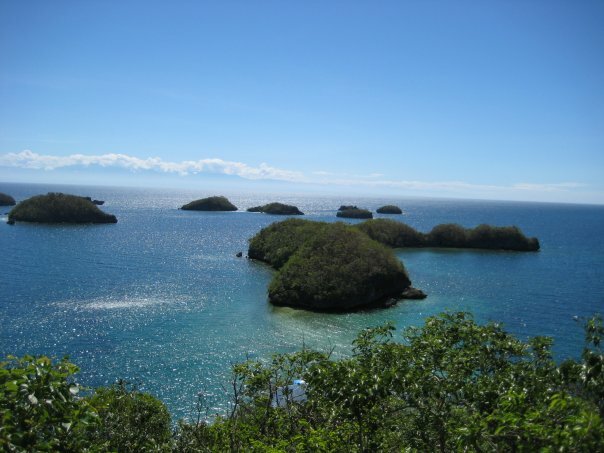 Hundred Islands National Park is in Alaminos, Pangasinan. I probably hear Hundred Islands a thousand times since the 1980s, but I never really knew the exact location of this national park. Hundred Islands officially declared by President Manuel Quezon as a national park in 1940. This park has about 124 islands. 4. The first train outside Manila. The railway officially opened on November 24, 1892. It’s route is from Dagupan City to Tutuban in Manila. The railway is no longer functioning, but anybody can still see its remains in Tutuban. READ: Huwag nyo po lapitan pag nakita nyo ito sa beach! 5. The Philippine National Anthem lyrics was in written in Pangasinan. The lyrics was originally a poem, entitled, “Filipinas” was written in Spanish by Jose Palma in Bautista, Pangasinan. The music was also originally a march song commissioned by the first president of the Republic of the Philippines, General Emilio Aguinaldo.